Not a cheap imitation! This jeweler's quality Micro File Set includes a beautifully machined aluminum handle with non-slip knurled grips, precision collet and pocket clip. Compartment inside handle stores files conveniently and safely. 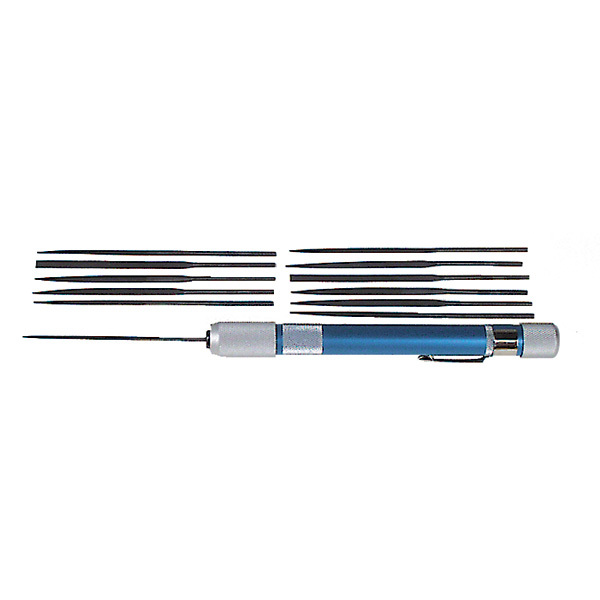 Includes twelve 4 inch long micro-slim needle files in assorted shapes. 5-3/4 inch long handle.